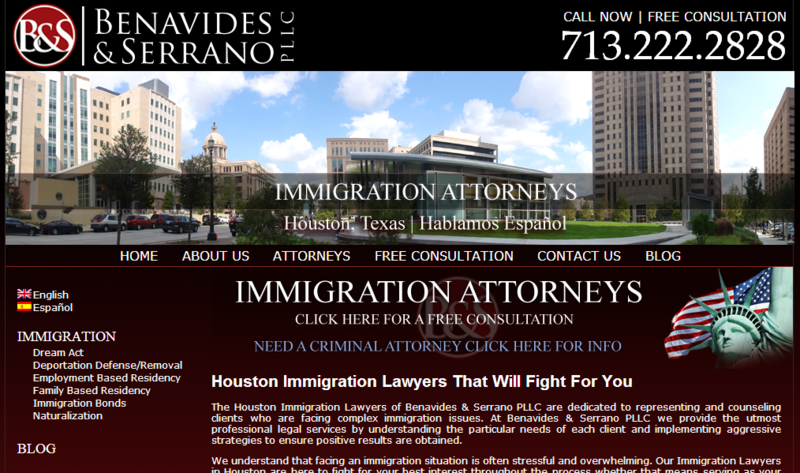 A content management website with the goal of expanding clients in their Houston Immigration Attorney law firm. 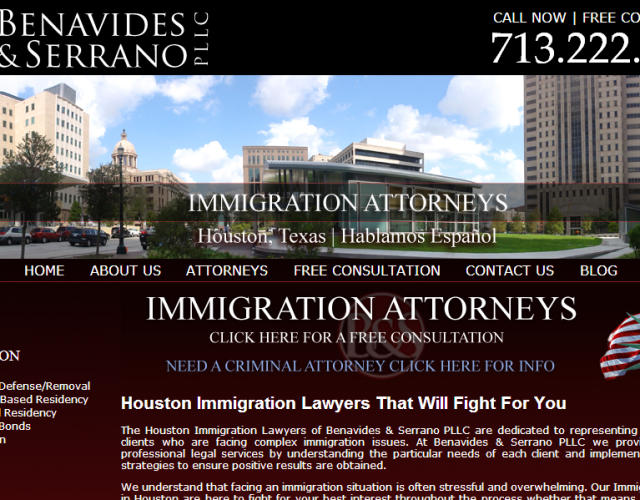 The entire design was created with the owners vision of how the website should flow together. This included custom graphics, theme design and styling. The website houses blogs, social media and bilingual support for its content all at an affordable cost. Potential Clients can communicate in various ways with the law firm – including sending a message directly from the website. The website was delivered in about a weeks time frame.